There are some referees for which controversy is a constant bedfellow. In the old days it was Kelvin Morton and George Courtney, followed in later years by David Elleray and Mike Riley. In more modern times they have been succeeded by Nigel Miller, Lee Mason, Stuart Atwell, Trevor Kettle and, of course, our friend Mr Deadman. Just as he was at Port Vale a couple of years ago, Chris Basham was unfortunate. Both occasions saw two players going for the ball in identical, fully committed fashion. On both occasions, however, Basham got there a fraction of a second after his opponent. If it had been the other way round it would have been Basham feeling the full force of the tackle, but I doubt he would have rolled around like Michael Brown and Neal Bishop did in apparent agony that lasted just long enough for the red card to come out. Basham did make contact, but it was not reckless or violent. Basham was missed against a surprisingly enterprising Bristol Rovers team who themselves went down to 10 men. Without his defensive abilities United at times struggled to contain them and were panicking at the end. But this team is made of sterner stuff than Nigel Clough’s or Nigel Adkins’, and has gained seven points from the last three games as much through a refusal to buckle as through attacking football. Paul Coutts epitomises this change in attitude. 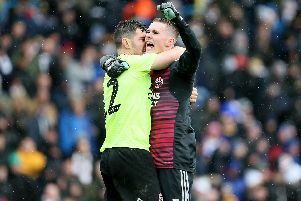 He has always been able to control and pass a ball better than most at the club, but Chris Wilder has somehow fired him up. Chasing down backpasses and harassing opponents were never part of his game. Coutts must have thought he was on his way out, but now he is a very important member of the team Wilder has selected in recent weeks.